As a mobile application development company in Pune, if there's one common misconception we'd like to put an end to for our readers and clients alike is this - just because your website is mobile-friendly doesn't mean that it's mobile responsive. 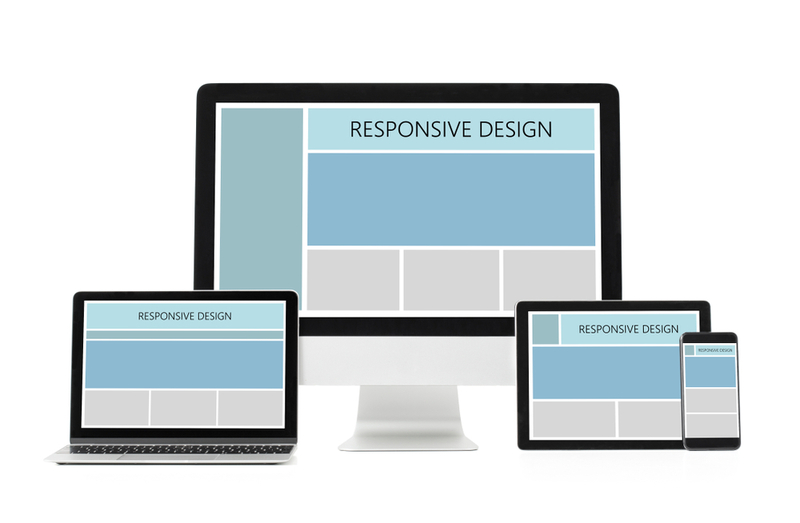 What we mean is that a mobile-friendly website would work just as good as it works on a desktop, but responsiveness is more than that. A mobile-responsive website ensures that each and every element that shows up on the users' screens sit nicely and comfortably without moving haywire or looking haphazard. Makes sense, doesn't it? So while the technicalities of the mobile-responsive website are taken into consideration by the design and development team, the core aspect of it - which is content should also be optimized for the mobile users. And that's exactly what we are going to be discussing in this blog post. But before we do that - let's first understand how mobile users read content differently than desktop users. Have you ever observed how you read on a desktop? Even if you didn't, there's research that sheds light on our reading pattern. We typically read web content in an F pattern - meaning that we start reading horizontally (and intently) from left to right forming the first sleeping bar of F then go down vertically searching for something worthwhile to read and continue reading horizontally (while not all the way to the right) forming the second seeping line of F and then go down further vertically scanning the left side of the content area thereby completing the F.
Now open an article on your mobile and check if your eyes journey around the said F pattern. Do they? We bet you can't tell. Well, that's because, with mobile screens, it's a different ball game altogether. Our eyes travel everywhere without following any shape or a pattern. Which means that there are no crucial points that call for special attention and that everything must be written and designed thoughtfully. The reason for this is that most of the mobile users who are going to be reading your blog post or article would be doing that on the go. These aren't your voracious readers who would be wolfing down large blocks of paragraphs but are those snack-hungry souls who are looking for something that's easy to pop into the mouth and digest. Once this becomes clear, everything falls into the place. The ideal structure for chunks is this - a smart 5-6 word headline, a concise summary, and a relevant image. We have established this already that smaller chunks of paragraphs are favored by mobile readers. So while snappy is the order of the day, it, however, doesn't mean that your content has to be devoid of meaning, life, and rhythm. Remember that at the end of the day people are reading to get information or entertained and going snappy won't do you any good if your content doesn't serve a purpose. From the language viewpoint, it makes sense to opt for an austere approach like Ernest Hemingway - straight to the bone, no-nonsense yet replete with sense and substance. Replace difficult, uncommon words with their simpler synonyms. Turn long, descriptive sentences into short and crispy ones. People don't have the time to decide what those lengthy paragraphs are trying to convey. So choose brevity over verbosity. The thing with images is that apart from breathing intrigue and life into content, they help break it into digestible chunks we were talking about earlier. Pertinent pictures and graphics are important to give readers the breather they need. Text that’s written right below an image is ALWAYS READ. So if there’s something really important that you don’t want your readers to miss, needs to be placed below the image. White space is necessary and no one can contest this. From giving a sense of structure to improving understandability - white space plays a pivotal role in mobile website content. While we fully endorse brevity, we also believe that you can’t truncate content for the sake of it. If there’s something that can’t be explained in an abbreviated way, make it as long as it’s essential. But in doing so, ensure that you are breaking the chunks with white space in the form of headings, subheadings, pointers, et al. 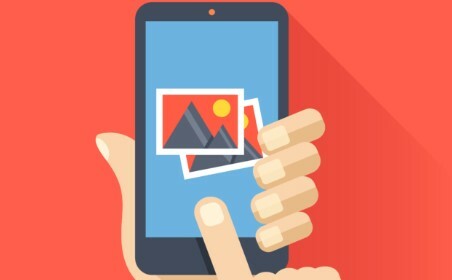 As we said it at the beginning of this blog post, if you follow these basic rules to mobile-friendly content, there’s no snowball’s chance in hell that your readers won’t enjoy what you have for them. If you are looking for a mobile application development company in Pune that will work with you as a part of your team, we think you need to get in touch with us super soon. Please feel free to call us +91 88888 66110 or email us at sales@ikf.co.in and we'll be more than happy to help.